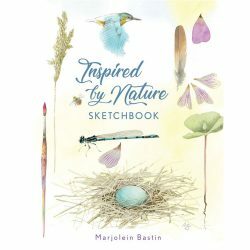 In our world of Marjolein Bastin, every day brings fresh air and sunshine! 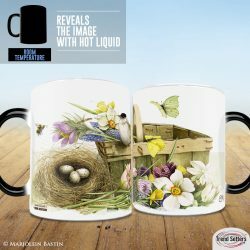 Enjoy this spring design featuring a Eurasian Blackcap watching over her eggs as a bumblebee buzzes nearby. Marjolein Bastin’s bunny is nestled in a bed of violets. 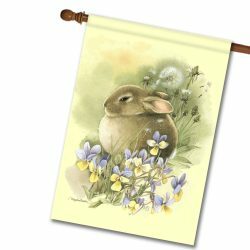 New from @Flagology are garden and house flags featuring Marjolein Bastin’s Easter art. Each flag is offered in two sizes in vibrant colors printed on a poly/cotton outdoor quality fabric. 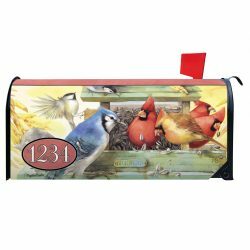 New from @Flagology are custom mailbox covers featuring Marjolein Bastin’s art. 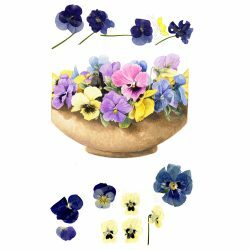 The vibrant colors are printed on high-quality UV-protected vinyl and fully backed by a thick magnetic material. Today, @AndrewsMcMeelPublishing is the largest independently owned newspaper syndicate in the world and is a leader in book and calendar publishing. 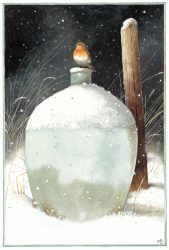 The company distributes hundreds of comics, features, editorial columns, and puzzles and games and publishes more than 300 books and a prestigious line of calendars. 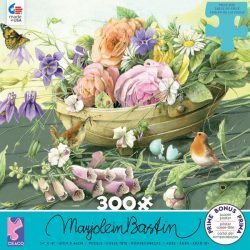 Ceaco’s new 300 piece puzzle features a basket of cut flowers along with fluttering and chirping friends by Marjolein Bastin. 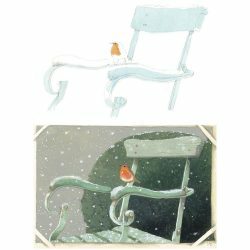 Marjolein Bastin Winter Birds Products by Trend Setters Ltd.
Marjolein Bastin captures the beauty of a snowy winter day with her delightful cardinals and goldfinches. 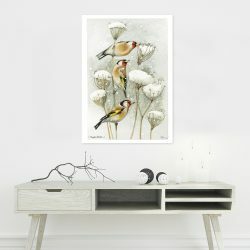 Trend Setters Ltd’s MightyPrint™ Wall Art is super durable, bend, tear, and fade-resistant. 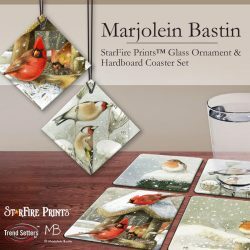 For an extra special display, hang it in a window where the light illuminates Marjolein Bastin’s skillful use of color and detail!